“Recognition Day is a momentous occasion in the life of a knob. 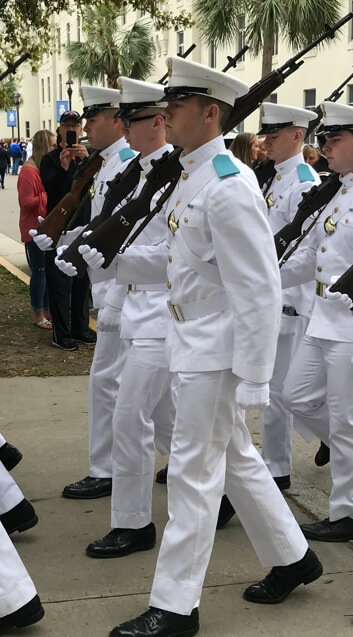 It means the end for rigid formations, walking in single file at breakneck speed and the highly regimented way of life that is The Citadel’s Fourth-Class System: the toughest college military training system in the country. 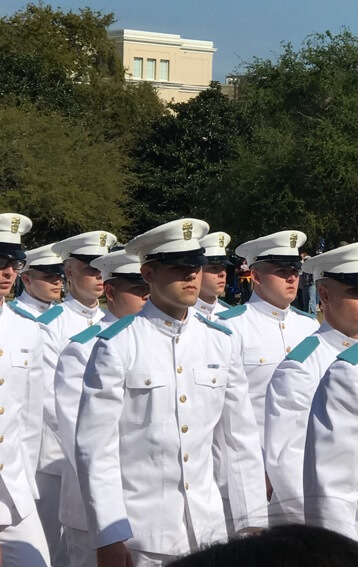 Recognition Day begins much the way the first day of military training began for the knobs — with intense physical and mental challenges. Knobs awake well before the sun rises to begin a series of seemingly endless exercises. They do push-ups and sit-ups and run drills back and forth across Summerall field for hours.